John Harder was a fighter pilot flying Spitfires with 64 Squadron; 434 Squadron was a Canadian Bomber Squadron, initially flying Halifaxes but converted to Lancasters towards the end of 1944. He has annotated each of his offensive missions with a number which is, according to my source at the RAF Museum at Hendon, far more indicative of Bomber Command than Fighter Command. To the target of Dortmund on 20th February 1945 Lancaster A/C “P” NG.497 of 434 Squadron was attacked by an enemy A/C at position 51:39N 06:20E height 9000, heading 230T. The enemy A/C was first sighted by rear gunner simultaneous with warning by WO/AG on fishpond (an early form of defensive radar) in the astern position, slightly below silhouetted against the clouds. The rear gunner gave corkscrew starboard immediately but was unable to fire as the rear turret went U/S on the way to the target. The Mid-Upper gunner was unable to fire as the enemy fighter stayed below the bomber breaking away up to the port at 150 yards, at 200 yards the enemy aircraft began firing a steady burst until break away, killing the WO/P and wounding the M/U gunner. The name “Terry” does not easily match with J H Taggart (‘though to be fair, I do not know what the J & H stand for. In addition, “Terry” may be a nickname derived from who knows where! Saarbrucken is over 200 miles from Dortmund. Again this could have been caused by memories fading or places wrongly remembered. 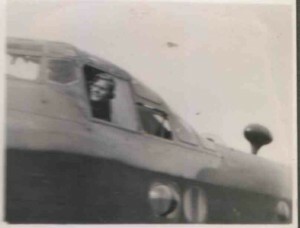 What is incontrovertible is that there must have been some link between the mid-upper gunner of Lancaster WL-P and John Harder as why else would he have the photograph in his photo album? Especially as, at the time of the incident, Harder was a PoW in Stalag Luft 3 having been shot down in July 1944. 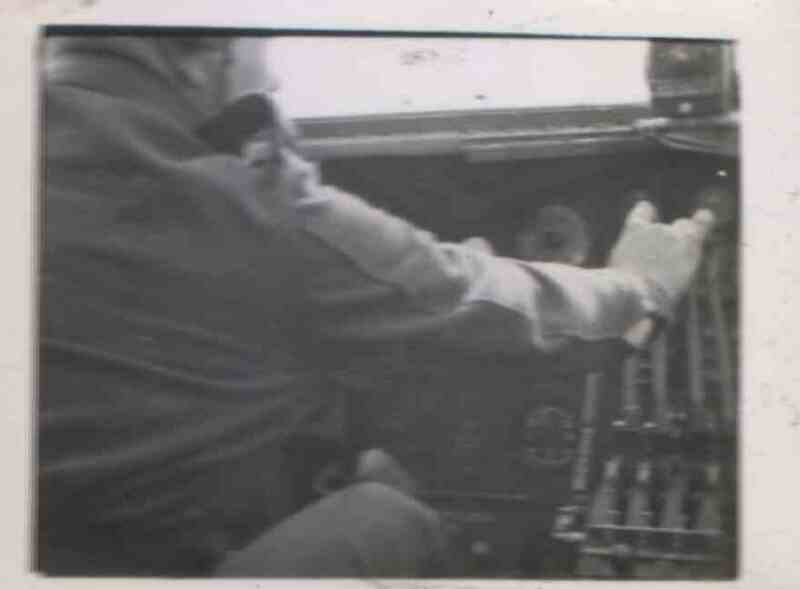 There is a slight possibility that the mid-upper turret of Lancaster WL-P (NG497) was also damaged on another mission to Saarbrucken with a gunner named “Terry”, but from the evidence so far, this seems unlikely. According to the Form 78 of NG497 it entered service on 23 January 1945, with 434 Sqdn. The next day it was passed on to 424 Sqdn. After suffering minor damage on 21 February 1945 it was repaired on site by 54 Maintenance Unit. On 20 April 1945 it returned to active duty, with 434 Sqdn. On 27 April 1945 it was transferred to 433 Sqdn, and on 11 October 1945 to 429 Sqdn. On 24 May (?) 1946 it moved to 15 Maintenance Unit, presumably to be moth-balled, and was struck off charge on 25 March 1948. Having looked back to the photo, one wonders what “major damage” would have been if this is minor! A Mk III Stirling had a crew of 7, Harder, Taggart & the 5 men who died as above. There is also a photo in his album of some grave markers with the caption: “August 17th 1942, F Freddie’s crew, pilot was Ellerton”. Again, there is a discrepancy with dates, but as the photo album was put together post war this is not to be unexpected; the name “Ellerton” does not feature in any casualty lists for the period, either. The matching of a crew with a new pilot may have contributed to their loss in action. 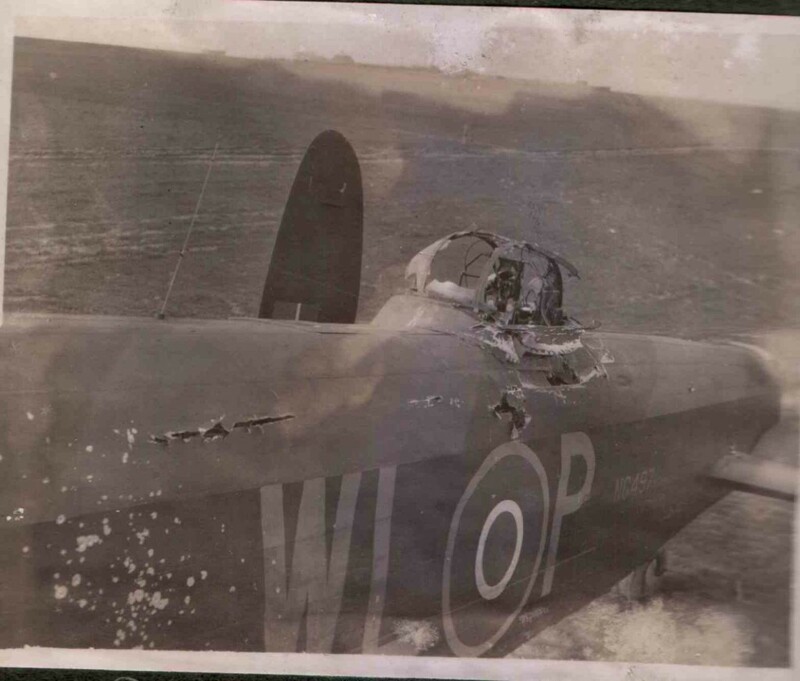 Continuing with the theory… Harder and Taggart then remained in contact despite being in different Commands of the RAF and Taggart provided Harder with a copy of the photograph of his damaged turret after the war (or perhaps even sent it to him during the war) as a reminder of his “close shave”. Until we can locate Harder’s Pilot’s log of this period, or perhaps make contact with Taggart (or any of the other crew members if they are still alive) then some of the above is, like other parts of the “Harder story” conjecture; hopefully one day there will be a definitive answer.